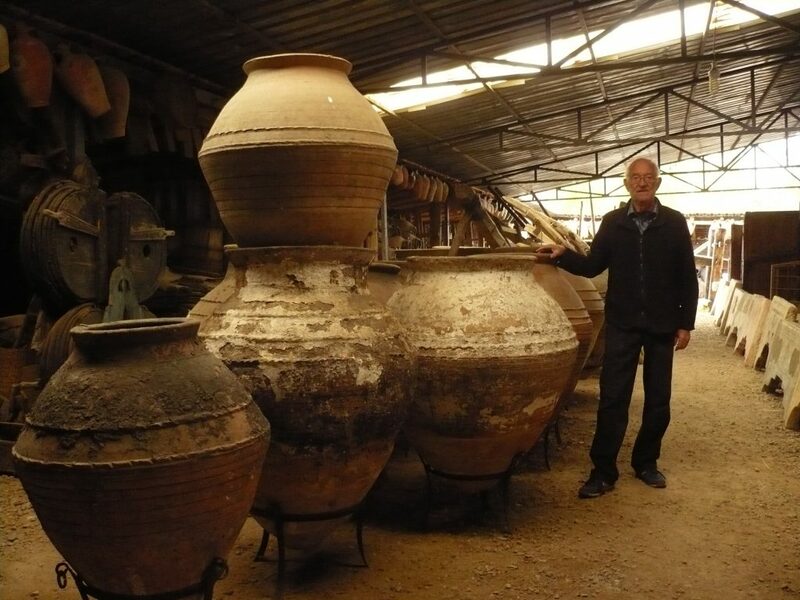 The pre-history of amphorae goes back to the time of early settlements in the Near East, about 10,000 years ago. In the following, I would like to give details about some early clay containers. 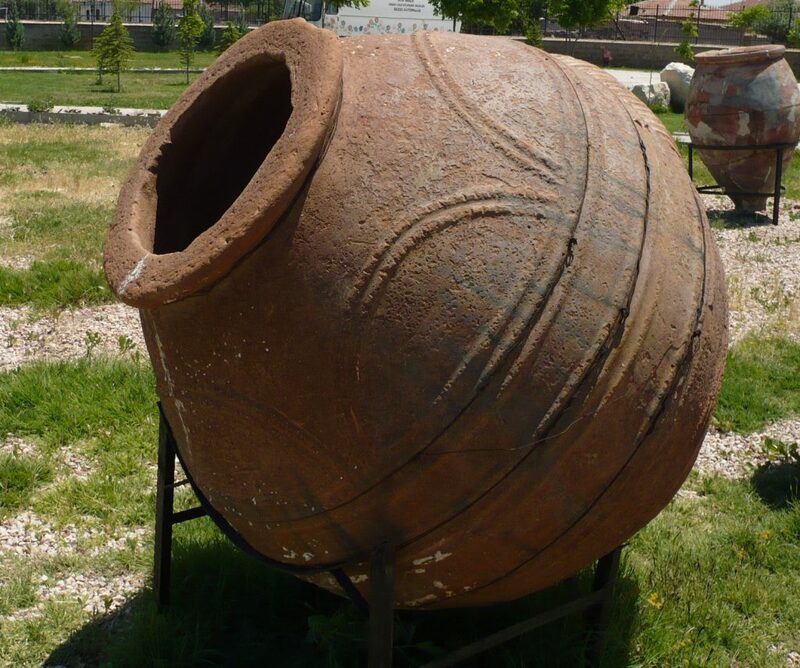 The photo shows a clay pot from the Bronze Age settlement of Acem Höyük near Aksaray in western Cappadocia. 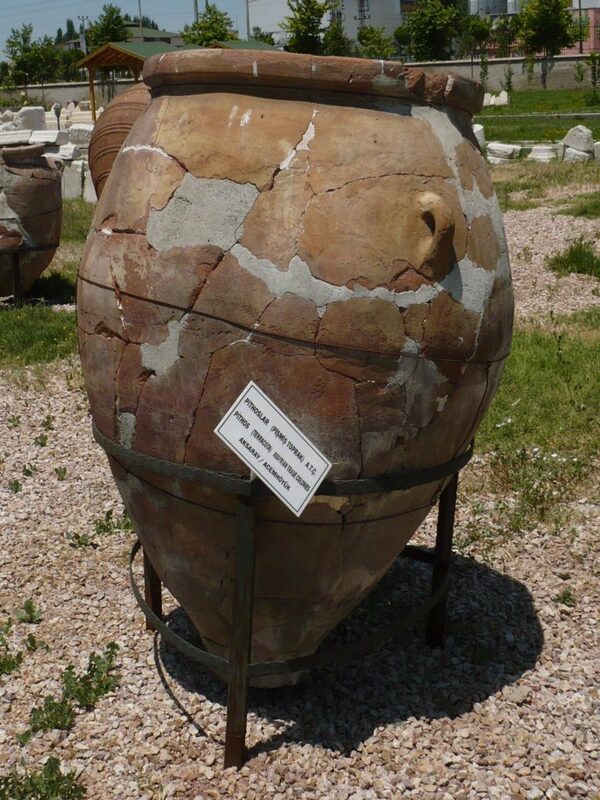 This amphora with a capacity of about 350 litres was presumably not used for wine. As the lip at the opening is flattened, this kind of vessel can hardly be closed. It may have been used for other liquids than wine or for foodstuffs. It dates back to ca.1900 BC. 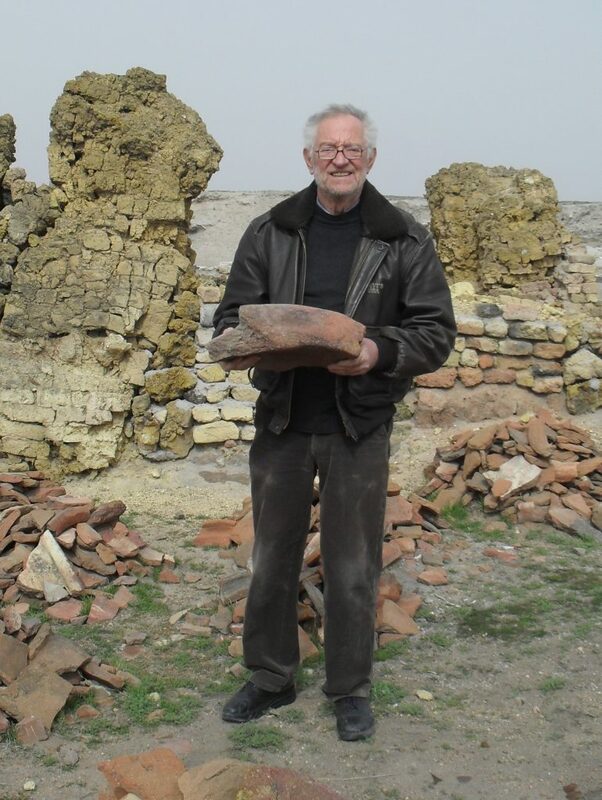 Here I am holding a small piece of the flattened opening of a clay vessel in my hand. The piece must have belonged to a wine jar with a capacity of several thousand litres. 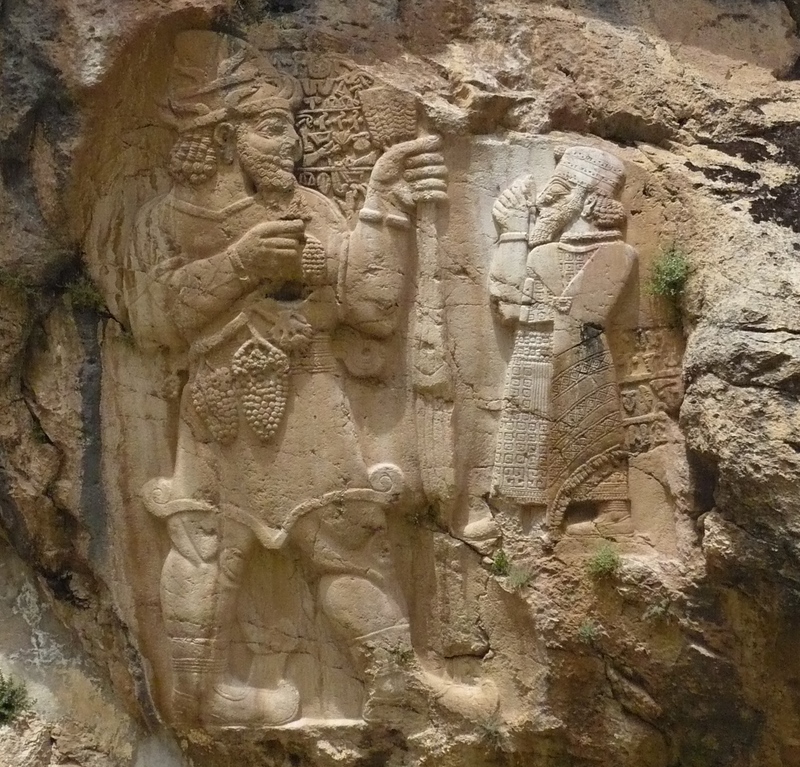 It also dates back to ca.1900 BC. These three clay jars with a capacity of about 400-800l were unearthed in a warehouse next to the temple complex, in the ancient Hittite capital Hattusha. 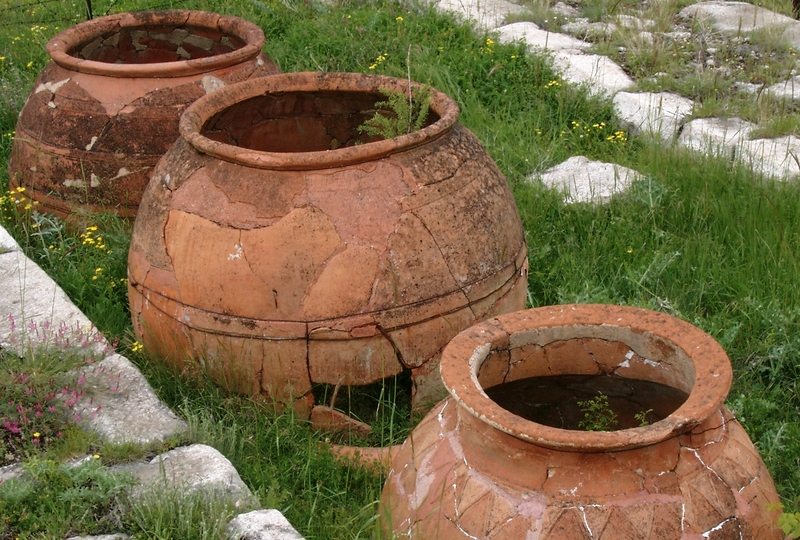 The clay jars in the foreground has a wide opening, so it must have contained wine. 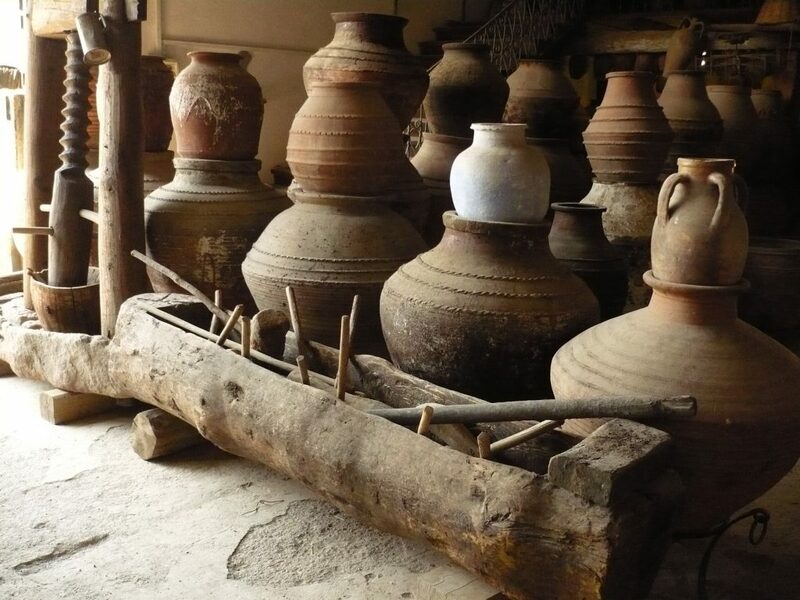 Wine would only keep for a longer period of time, if it was stored in such a sealable clay jar The two other vessels may have been used for water, oil or other products. All three clay jars date back to 1300 BC. I discovered this limed Roman dolia (clay jar) at an antique dealer’s in Beyṣehir. Ottoman küps for wine at an antique dealer’s in Beyṣehir. The küps in the foreground were used for grape syrup (pekmez). 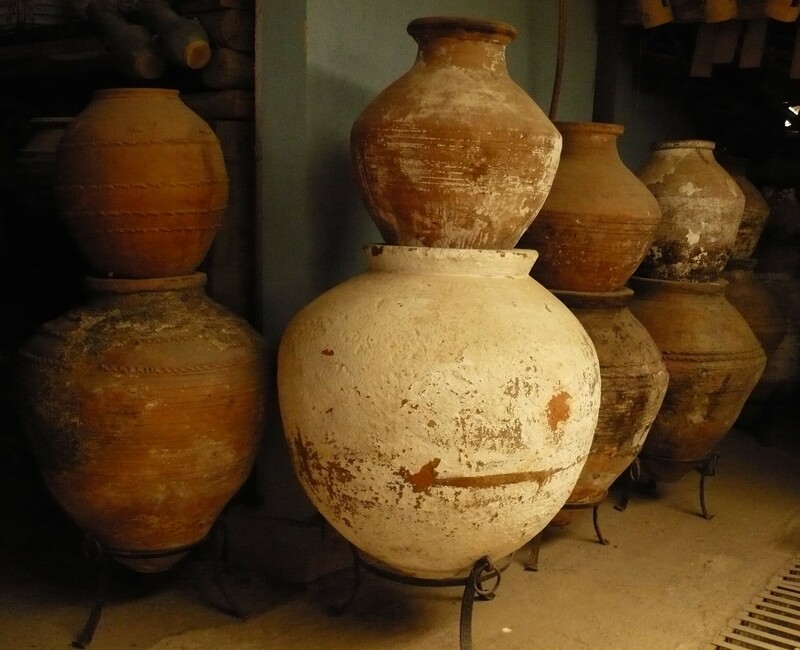 Ottoman küps for storing wine, other liquids and foodstuffs, found at an antique dealer’s in Beyṣehir. Grapes would have been pressed in the hollowed tree trunk. Large küps with a capacity of up to 6000 liters were not only used for various foodstuffs such as dried fruits, flour, dried pulses and other products but also for olive oil and wine.